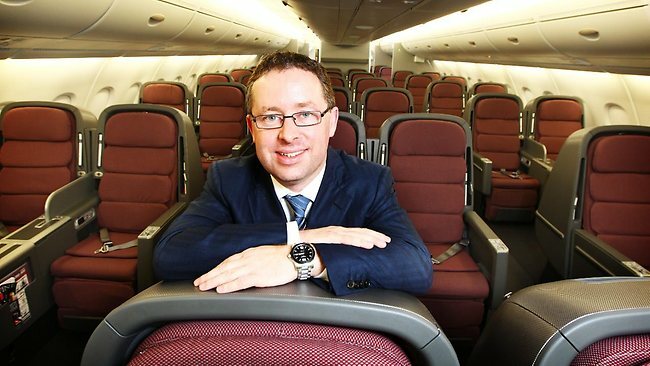 It’s never been cheaper to fly, says Qantas boss Alan Joyce. Just one week’s wage will get the average worker an airline ticket to London, the chief executive of the world’s oldest continually operated airline said. He said the cost flying had dropped significantly in the past 70 years due to improved technology and the airline’s innovative use of new aircraft, such as the A380. “(In 1935) it used to cost 122 weeks of a average person’s salary, in 1960… that airfare went down to 20 weeks of an average person’s salary, and with the A380 it’s one week of average person’s salary,” Mr Joyce said. More Australians were taking advantage of the strong Australian dollar and travelling overseas, especially on low-cost airlines such as Jetstar, Mr Joyce said. “When we set up Jetstar in 2004, again that was a new innovation because we could see that was the way the market was going. “Ten per cent of Jetstar’s travellers have never flown before, so it’s a completely new market,” he said. Mr Joyce was speaking at a business forum hosted by the Australia-Israel Chamber of Commerce in Sydney. 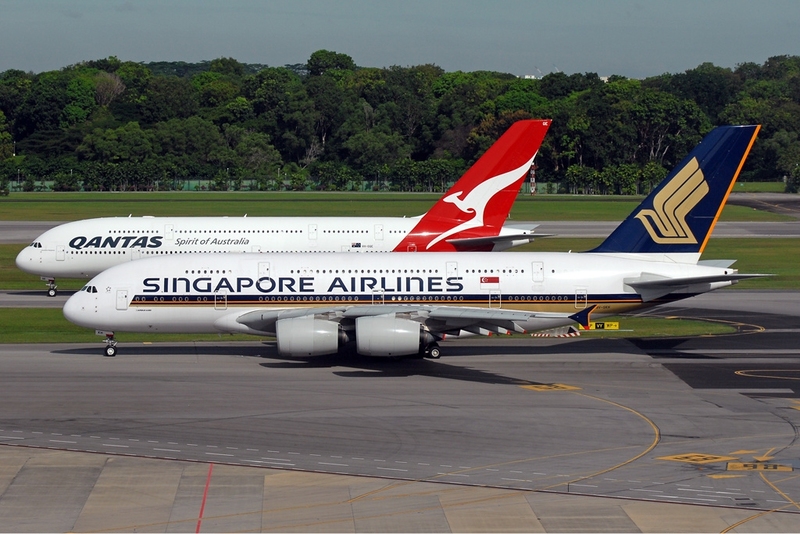 The Australian Bureau of Statistics on Tuesday reported a…..
Read the complete story at Adelaide Now…..
AFP, SYDNEY: Australian flag carrier Qantas is still considering Singapore as the base for a premium carrier in Asia, chief executive Alan Joyce said in a report published yesterday. Qantas’ Asian plans — which it sees as key to its strategy of revitalizing its loss-making international business — were dealt a blow when talks with Malaysian Airlines over the premium joint-venture collapsed last month. Talks with Singapore on the issue had also lapsed, but Joyce told the Australian newspaper that the airline was still looking at a range of options for a premium Asian airline, including the city state. “This will take a bit longer than we originally thought, but we’re still keen to set up a premium airline in Asia and we’re still looking at a range of options available to us — and Singapore is one of them,” Joyce said. He added that Qantas was still talking to the Singapore government on the idea. “We work with them on a range of issues and one of them is keeping the door open to the possibility of a premium airline,” Joyce told the newspaper. Qantas holds a 65 percent share of the domestic Australian market, but has struggled with an underperforming international business. It is attempting to refocus on Asia, the world’s fast-growing aviation market, and last month announced a new Hong Kong-based budget airline, Jetstar Hong Kong, which it hopes will be in the air next year. 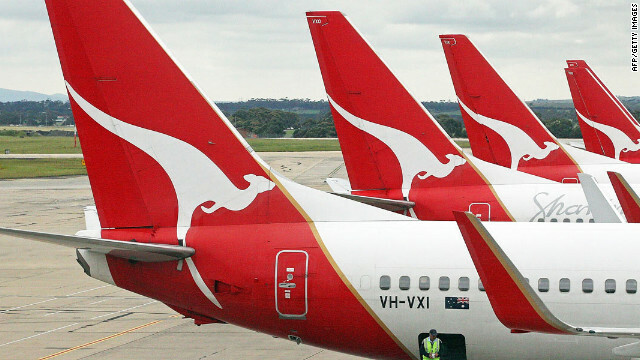 However, Joyce said that for long-term success, Qantas, which has a weak market share in Asia, needed to participate in the premium end of the regional market. “Qantas could probably live with it for the next few years, but I’m committed to [the idea] that in the future we have to address it, and the way to address it is to be involved in a premium airline in Asia,” he said…..
Read the full story at The Taipei Times…..
[Reuters] – Australia’s Qantas took its repaired A380 superjumbo back to the skies on Saturday, resuming a 3,900 mile (6,300 km) journey dramatically interrupted 18 months ago when one of its engines blew up over Indonesia. After $140 million of repairs, the world’s largest jetliner took off for Sydney shortly before midnight, carrying Qantas Chief Executive Alan Joyce and members of the crew that safely landed the crippled Airbus in Singapore with 440 passengers on board. “She’s running a little late… 18 months,” Joyce earlier told reporters under the left wing of the big jet, which was sprayed by shrapnel as the engine blew apart shortly after take-off from Singapore in November 2010. The return to service of the flagship European jetliner ends a harrowing episode for the airline, plane maker Airbus (EAD.PA) and engine supplier Rolls-Royce (RR.L). Investigators have blamed the incident on a potential manufacturing flaw at Britain’s Rolls-Royce, which endured blunt criticism from Joyce following the Trent 900 engine explosion. Qantas and Airbus said the aircraft is safe and nearly as good as new after going through what they described as the biggest repair job on a single aircraft in aviation history. The only visible scars are two patches of metal under the left wing where it was pierced by debris, some of which shot out at an angle that narrowly missed the top of the fuselage…. Read the full Reuters story….. The head of Australia’s biggest airline Qantas has backed the federal government’s push to build a second major airport in Sydney. Qantas’s chief executive, Alan Joyce, has backed calls from the federal government for urgent action to be taken on a second airport for Sydney, declaring that “we just need to get on and do it”. With the federal and state governments split over the need for another airport in the Sydney basin, Mr Joyce said Qantas believed that both the city and the country needed another airport to cope with an expected surge in demand for flights to Australia’s tourism gateway. “Sydney is a very important hub…and in the longer term there is absolutely a need for it,” he told reporters at Sydney Airport today. However, Mr Joyce would not be drawn on where in the Sydney basin a second airport should be sited. Sydney Airport has repeatedly insisted that it has the ability to cope with increased demand for flights until at least 2050 through the use of bigger aircraft and efforts to make its facilities more efficient. The airport has been attempting to garner support for a makeover planned for the next eight years that would remove the split between the domestic and international terminals. Mr Joyce said Qantas was “fully supportive” of recent moves by Anthony Albanese, the federal Transport Minister, to kickstart planning for another airport. “We have been talking about it for a long time. I think we just need to get on and do it,” he said. The federal Tourism Minister, Martin Ferguson, also emphasised the need for decisive action to ensure a second airport is built, highlighting the length of time it would take because of the need for a detailed planning process, environmental considerations and community consultation. Read the full story from the Sydney Morning Herald (Business Day section)….. 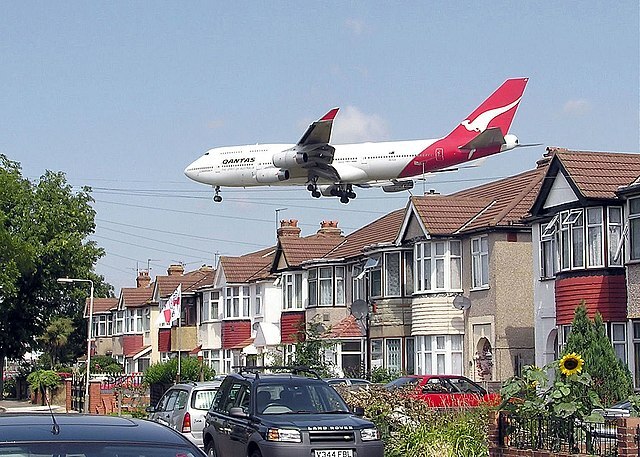 According to the airline the European recession will keep the Brits at home and therefore the airline predicts a moderate six percent increase in passenger growth on the Australia-UK route compared to its ten percent increase the previous year, the Brisbane Times reported. Ms Southern said despite the games bringing in an increased number of visitors to London the event will lead to a decrease in the number of Brits travelling abroad. “It is not a curse but it is not a bonanza either,” Ms Southern said. Ms Southern added that the carrier has not yet seen an influx of Australian keen to travel to London for the games. Additionally as a result of intense competition from Middle Eastern and Chinese Airlines plus the rising price of fuel Airlines including Qantas are struggling on the Europe route. ”It is tougher flying internationally, which is what we are seeing with BA and Qantas,” Ms Southern said. Read the full story at Travel Blackboard…. Australian airline Qantas is to operate the country’s first commercial flight on biofuels on April 13, 2012. The flight will run from Sydney to Adelaide and an Airbus A330 will be used, powered by biofuels made from used cooking oil (50 per cent) and conventional jet fuel (50 per cent). Qantas says that it wants to get involved in aviation biofuels because with rising fuel prices affecting the industry, it says that it is important to develop the sustainable aviation jet fuel sector. A study conducted by the CSIRO says that the airline industry could benefit from aviation biofuels by creating 12,000 new jobs and cutting greenhouse gases by 17 per cent in the sector. However, in order for this to happen, it says that ‘significant obstacles much be overcome’, as per a report on Biofuels International. Valastro added that over recent months the airline has been discussing plans with the government and partners in the industry about establishing a sustainable aviation fuel industry in Australia. (Reuters) – Fiji’s military government on Wednesday said it would take control of national carrier Air Pacific from Australia’s Qantas Airways using a decree that states “substantial ownership and effective control” of all Fijian airlines should be local. While Qantas is a significant minority shareholder in Air Pacific, it exercises control through supermajority and veto rights, the government said in a statement. “With this law, the government has now corrected the activities of prior Fijian governments, which allowed foreign citizens to control Fiji’s national airlines,” the statement said. A Qantas spokeswoman in Sydney denied the airline had veto power over Air Pacific’s operational decisions nor did it have effective control. “Qantas will assess the implications of the decision to change the airline ownership laws in Fiji and determine what impact this has on our minority shareholding in the airline,” the spokeswoman said. Air Pacific handles about 70 percent of the visitor traffic to Fiji, the government said. The airline faces rising competition from Qantas and its budget unit JetStar, which also flies to Fiji. (From the Financial Times) Qantas of Australia and China Eastern Airlines are to launch Hong Kong’s first budget airline in a landmark deal for foreign participation in the Chinese aviation industry. Jetstar Hong Kong will be a $198m joint venture in which Qantas and China Eastern hold equal stakes. It plans to start flying next year. It will be the first time that major Chinese and foreign airlines have together established a passenger airline, with previous partnerships limited to cargo joint ventures or codeshare agreements. 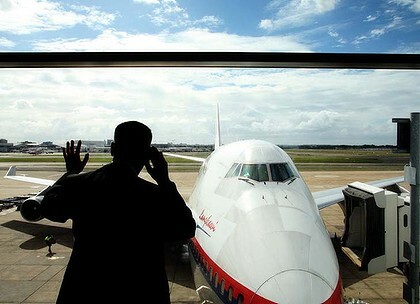 In establishing a budget carrier, Qantas and China Eastern are targeting an under-served segment of the Chinese market. Although air travel has risen in China, the country has little in the way of discount options.